People eager to get their hands on tickets to the Toronto Together benefit concert encountered a familiar situation when tickets went on sale Wednesday: the concert sold out in minutes and tickets soon showed up on resale websites with big markups. People eager to attend a benefit concert for the victims of a mass shooting in Toronto encountered a familiar situation when tickets went on sale Wednesday: the concert sold out in minutes and then tickets soon showed up on resale websites with big markups. "I guess all these bots had bought all the tickets right away," said Dave Joyce, an Ajax, Ont., resident who failed to secure a pair for himself and his girlfriend despite being on Ticketmaster the moment they went on sale. Joyce wanted to attend the Toronto Together concert to show his support for those who were harmed in the shooting last month in Toronto's Greektown, which killed two people and injured 13 others. "This really upset me because this is supposed to be a benefit concert and these people are profiting at these astronomical rates," said Joyce. Joyce's situation illustrates the ongoing issue of online scalping, as ticket resale sites make it easy for scalpers and even sports teams to cash in. 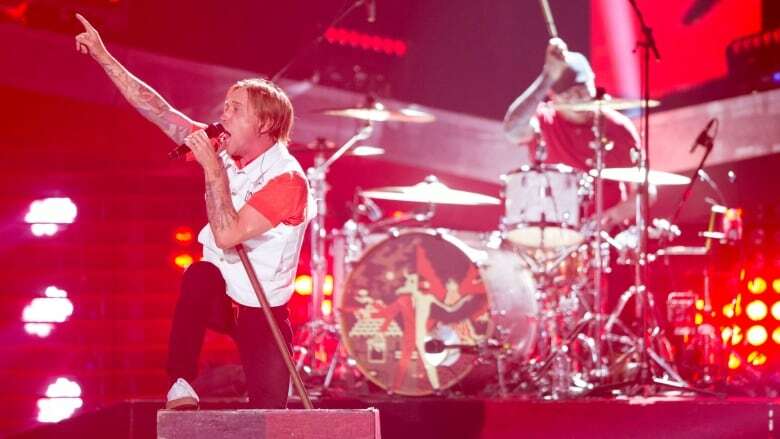 Canadian rock band Billy Talent announced on July 31 they would host the event, along with City and Colour, Pup and other unannounced artists, at the Danforth Music Hall. Tickets initially sold for $50 and all of the proceeds are to be donated to a fund set up to support the victims of the shooting. A day after the official sale started, dozens of tickets were available on at least three resale sites — SeatGeek, TickPick and ScoreBig — as well as the classified advertising site Kijiji. They ranged in price from $117 to over $500 each. "To have a reseller make $200 to $350 off of a $50 ticket, I find kind of disgusting," Joyce added. CBC Toronto contacted the seller of a pair of tickets on Kijiji. John Mastrella responded in an email saying, "Welcome to capitalism.… Focus on the real issues, not someone selling tickets because that's supply and demand." ScoreBig, TickPick and SeatGeek all removed Toronto Together tickets from their sites after inquiries from CBC Toronto. Selling them violated internal policies banning the sale of tickets to charitable events, the companies said. Jack Slingland, director of client relations at TickPick, said his company had only made one sale and that the company would now be donating the revenue to the #TorontoStrong fund. Slingland said the company does have a policy against selling tickets meant for charitable events. The problem is that they don't have an automated system for detecting tickets that are in breach of the policy. "We deal with hundreds of thousands of events that could be live on our site at any time," said Slingland. "We try to act as quickly as possible to make that right." Chris Leyden, a spokesperson for SeatGeek, also cited the difficulty of overseeing countless events. "As a marketplace with thousands of events at a time, it's unfortunately a manual process to identify and remove these, but we do our best to be proactive about it," said Leyden in an emailed statement. As of Thursday evening, tickets were still available on Kijiji, because the company does not have a policy against ticket resale for charity events. Joyce, the music fan, was happy to hear how the resale companies responded but thinks the government needs to do more. He says it's getting more and more difficult for the average fan to get tickets at retail price. "The tickets are out of reach so fast that we're just not going to concerts," he said. The previous provincial Liberal government introduced legislation earlier this year to crack down on ticket scalping. The Ticket Sales Act included provisions banning the use of online bots that scoop up thousands of tickets at once and capping resale prices at 50 per cent of the face value of a ticket. But critics warned the legislation was toothless and the new Progressive Conservative government quickly shelved the price cap. "The legislation that the Liberals brought forward sounded like it was going to deal with the situation … but there was no way to enforce that 50 per cent cap," said Todd Smith, Ontario's minister for government and consumer services, in an interview with CBC Toronto. Smith said his government kept the provisions of the bill it could enforce — the bot ban and regulations requiring sellers to be more transparent about the number of tickets available to the public — but that there is only so much the government can do to about a problem that crosses borders on the Internet. "Many jurisdictions have been scratching their heads on how they're going to be able to enforce these kinds of laws," said Smith.